Zonto is a complex of different services, products, technologies, and solutions aggregated in a single platform. It features several functional modules, which collaborate with each other attaching the emergent new qualities to the entire complex. The synergistic effects achieved through the collaboration of the Zonto modules provide numerous benefits to the participants using Zonto for business, communication, purchases or entertainment. The goal of the developer was to create a flexible, scalable, self-learning, and continuously evolving system utilizing blockchain technology. Zonto’s architecture was finally formed when all of the modules were integrated into its social network and started building logical connections between each other. The ultimate vision named Zonto.World features a user-created “ecosystem” with chains of interests, connections, and mutually beneficial opportunities. We’ll talk at length about the infrastructure, tools, and technologies “behind the scene,” so stick around until the end of our in-depth Zonto review. Openness and innovativeness – Zonto strives to create an open community brought together by mutual interests and kept together by fair rules. Zonto’s openness can be viewed through their API interface and the blockchain itself. 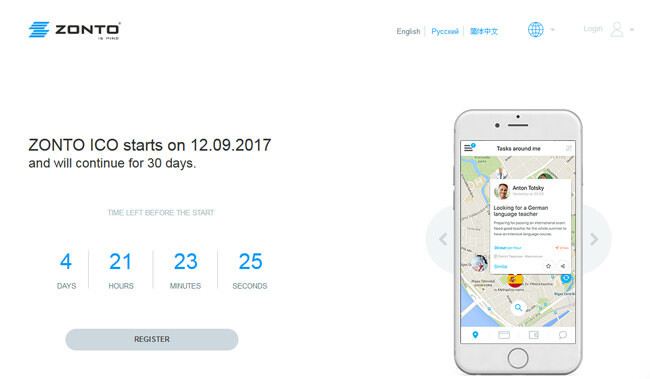 Zonto Taxi (Project) – This is Zonto’s taxi service. Pre-ICO – 200,000 tokens will be distributed; the price of 1 token will be 2$; the pre-ICO will end on August 28th, 2017 at 07:00 UTC. 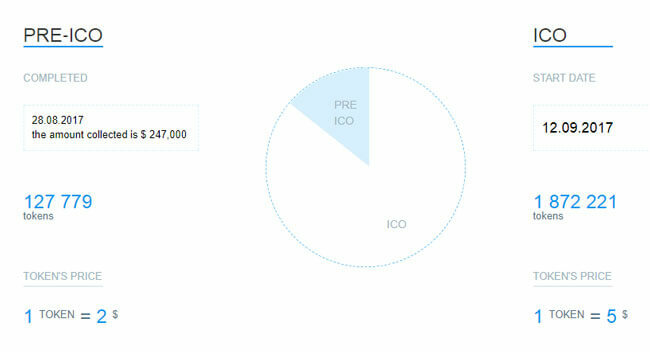 ICO – 1,800,000 tokens will be distributed; the price of 1 token will be 5$; distribution will go on for 30 days and shouldn’t start later than 30 days after the pre-ICO is closed. Bounty campaign – 5% of the implemented tokens and bonuses. This Zonto YouTube review serves as a quick introductory course to their visions and ideas. Zonto YouTube channel will guide you through their ICO and introduce their platform even further. You can also check out Zonto Facebook and Twitter accounts as they are among the best sources of information. They are kept regularly updated. Zonto has its Telegram and Slack channels, which are also a great source of first-hand information. You can chat with other participants and view their perspectives as well. Finally, you can take part in Zonto subreddit and give your opinion on the platform. As seen in our Zonto review, this is definitely a huge project looking to incorporate a lot of things under a single platform. It could even be too ambitious for its own good, but we’ll have to wait and see what happens with the ICO. They are advertising revolutionary technologies and tools for pretty much everything but we can’t help but wonder how revolutionary all this actually is. There are definitely some good modules within Zonto, but there are also some downright ridiculous fillers like Zonto radio, for example. The radio service is a perfect example of what we’re trying to say here: Zonto is a platform that brings minor conveniences. That being said, it is a good project, just not as new and “out there” as they’d like to make us believe. We hope this Zonto review put some things into perspective and gave you that final push toward either investing or steering clear of this ICO.